When new technology and terminology starts to gain a lot of buzz, it is natural for consumers to wonder what the hype is all about and whether or not they should consider following the latest trend. The newest tech trend is 4K Ultra HD. To figure out what this technology offers and who supports it requires a little extra digging. This designation is used to describe screen resolutions, just like 720 HD and 1080p Full HD. 4K is simply the next advancement in resolution, for which the industry standard is 4096×2160. In the consumer electronics domain, the terms “4K”, “Ultra HD” and “4K Ultra HD” are often used interchangeably, and they frequently describe a resolution of 3840×2160. That resolution (at 30 frames per second) can be delivered over HDMI 1.4 cables, which are the widely used cables for 1080 already. Because of that discrepancy, some people have been turned off by the notion of 4K, but it should be noted the differences between the two resolutions these terms describe is relatively small. The simple fact is that 4K Ultra HD delivers an incredible four times the pixels and resolution of 1080, and that is a serious upgrade in video quality. A key component when upgrading to 4K is the screen users choose. Not all screens are created equal, and there are a wide range of price points to enter into the 4K market, as well. Much like with 1080, consumers should think about how they use their TV and the kind of room it’s going to be used in. Bigger screens, based on market research, have been shown to really deliver the extra capability of 4K Ultra HD, whereas smaller screens provide a more modest improvement. There is also the topic of 4K content. As it was years ago with HD, accessing content that delivers the additional resolution is going to take time. Many broadcast companies have started to upgrade, and some major events have already been shown in resolutions higher than the usual 1080. 4K Ultra HD really shines in eye-catching video wall and digital signage applications. With 4K Ultra HD video wall controllers, users can link together four or more 4K screens to display a single image or multiple images. The degree to which these 4K video wall controllers up the ante on what users can do is pretty incredible. The resolution is amazing, and the bright and vivid video quality really grabs people’s attention. The same is true for 4K digital signage. Users can easily program multiple videos in one 4K screen, which enables four full HD videos to be shown at one time with no scaling necessary. That means even without native 4K content, users can use a single 4K screen to display visuals and video quality that would have required four 1080p screens previously. That’s a serious upgrade, and it’s much more attractive – and less expensive – to use one screen instead of four. That’s the kind of unique functionality that’s offered by 4K digital signage and 4K video walls. If you are looking for some good deals on High Definition Resolution televisions, or more product details, here are some great examples from Insignia and LG. It’s truly amazing the picture quality you can get starting at $250 for a 43-inch set. These all feature true-to-life 4K Ultra HD picture quality with over 8 million pixels for stunning clarity, deep contrast, and vivid colors. What we really like about these is the built-in Amazon Fire TV hardware. This lets you enjoy tens of thousands of channels, apps, and Alexa skills, including Netflix, Prime Video, Hulu, HBO, SHOWTIME, STARZ, and more. Note that some of these premium channels require an additional subscription. 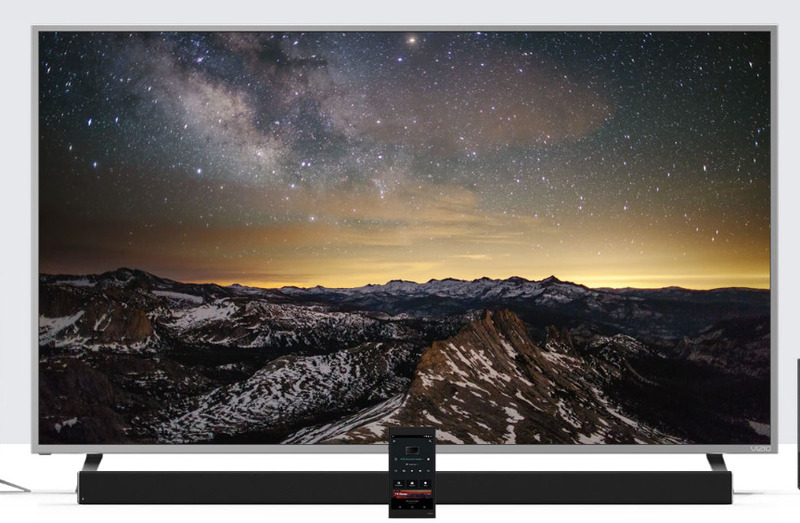 These Insignia TVs are great for cord cutters using an HD antenna to integrate no-cost live over-the-air TV and streaming channels on a unified home screen. With the Alexa AI, you can control your TV with the included Voice Remote. Change channels, adjust the volume, launch apps, search for titles, play music, switch inputs, control smart home devices, and more, using just your voice. To keep the cost low, Insignia only provides the essential connections – 3 HDMI (including 1 with Audio Return Channel ,”ARC”), USB, composite input, antenna/cable input, digital output (optical), audio output, Ethernet. One other cost saving measure is that the screen is actually LCD, with LED backlighting. These are full LED screens, with LED backlighting. The IPS (“in-plane switching”) technology provides rich colors and excellent wide viewing angles. There’s no bad seat watching these LGs. Like the Insignia, these are 4K resolution. While these particular TVs don’t include a Fire or Roku, they are compatible with Amazon Alexa (sold separately). We really like how thin and light these are, making the installation easy. For the higher price you get more options – 3 HDMI, 2 USB, 1 RF, 1 Composite in shared with component, 1 Ethernet, 1 Optical and Audio Return Channel Support via HDMI. Don’t forget the audio! We’ve reviewed some great soundbars to go with your new TV.